The Kadazan people of the Penampang District is a subgroup of the Dusun/Kadazan group. 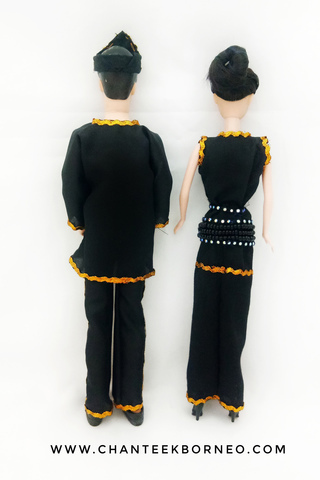 Generally, the trimming on the Kadazan costume are simple and dignified in comparison with other ethnic group. The men's, Akee, wear a long-sleeved shirt decorated with gold trimming and gold buttons. 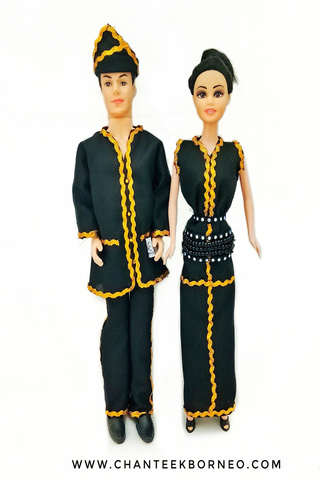 A Penampang Kadazan lady, Humee, wear a blouse with short sleeves and U-neck decorated with gold trimming.